94% of churches are losing ground against the population growth of their communities. [ref] At unSeminary, we find practical and helpful ways to reverse this trend. We want your church to grow and have an increasing impact in your community! 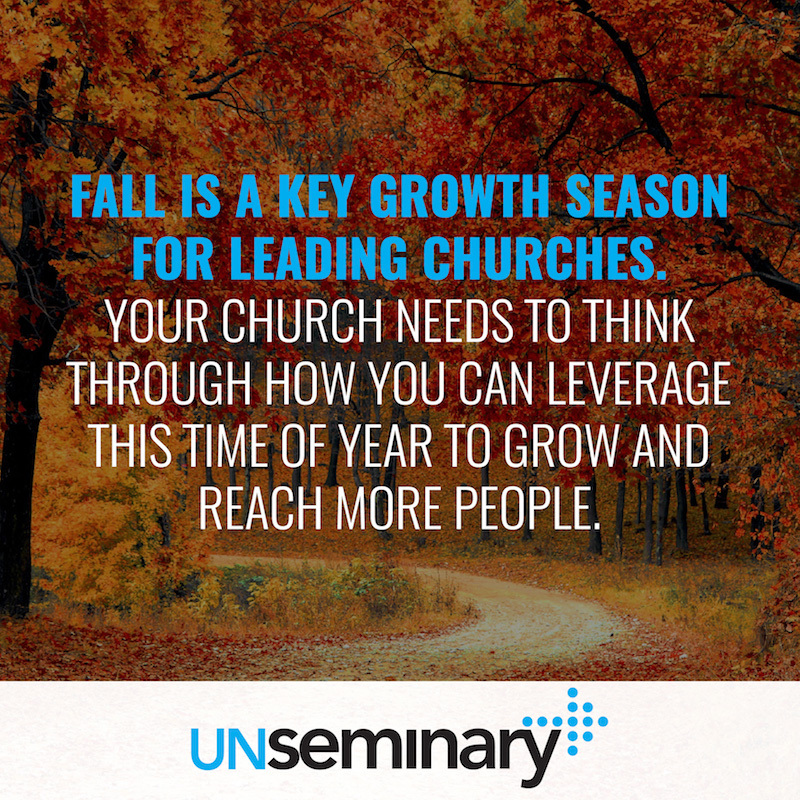 Fall is a key growth season for leading churches. Your church needs to think through how you can leverage this time of year to grow and reach more people. New Year for Families // The school calendar drives the lives of many families. The start of a new school year means they are setting new patterns. Often, parents are drawn to the church because they are looking for help with parenting, so it’s a logical time of year for them to start at a church. Away for the Summer // Many churches experience a “dip” in summer attendance as people go away on vacations or visit their families. Churches often see an increase in attendance in the fall, if they can “recall” those people to get plugged back in at church. Breaking the summertime cycle of non-attendance is key to seeing your church grow. The End is Near // Finally, some people who started off the year by saying they wanted to connect more to the life of the church find themselves coming into the end of the year not having done it. They are looking to give it a try in the final months of the year. Your church will benefit from a bump in attendance from this group if they see it as a place that helps them grow spiritually. Invite Tools // Send these graphics to your people and ask them to post the graphics to their social media channels. Don’t just post them on your own channels — ask people to share them with their friends. Customize Them // We’ve given you the original “working” files, which means a volunteer in your church could put your logo on them or tweak the language to fit your needs. Remind, Remind, Remind // Don’t just ask your people to use these tools once — consistently remind people and ask them to use the graphics! Talk about the graphics on Sunday, email people directly about using them, post them on your channels and model it as a leadership. 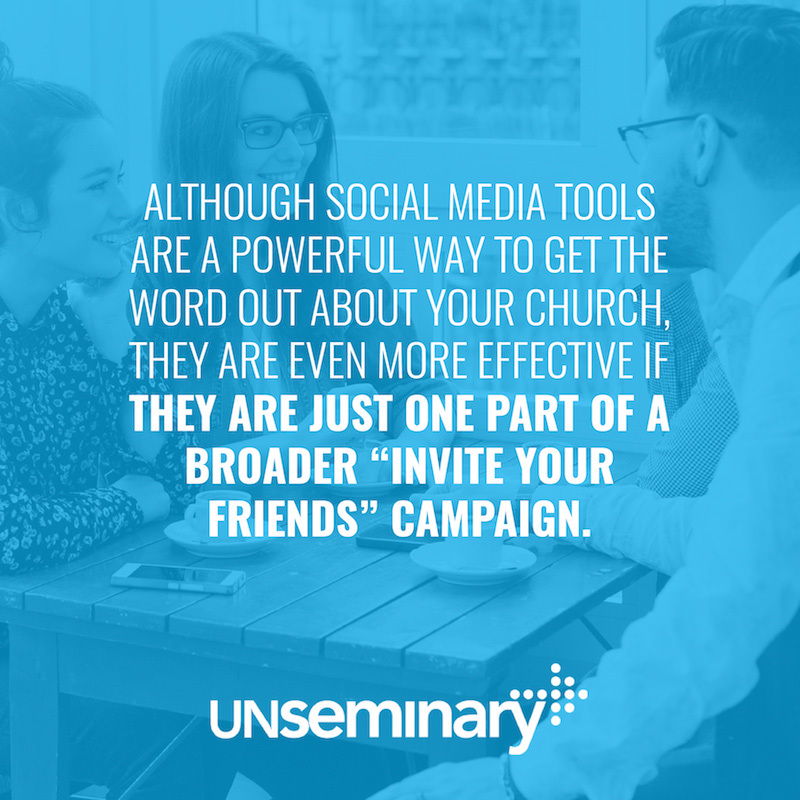 Build into a Campaign // Although social media tools like this are a powerful way to get the word out about your church, they are even more effective if they are just one part of a broader “invite your friends” campaign. Consider handing out physical invite cards for people to give to their friends. Teach on why it’s important to invite friends. Plan a few “WOW! Weekends” for the fall that make it easy for people to invite others. 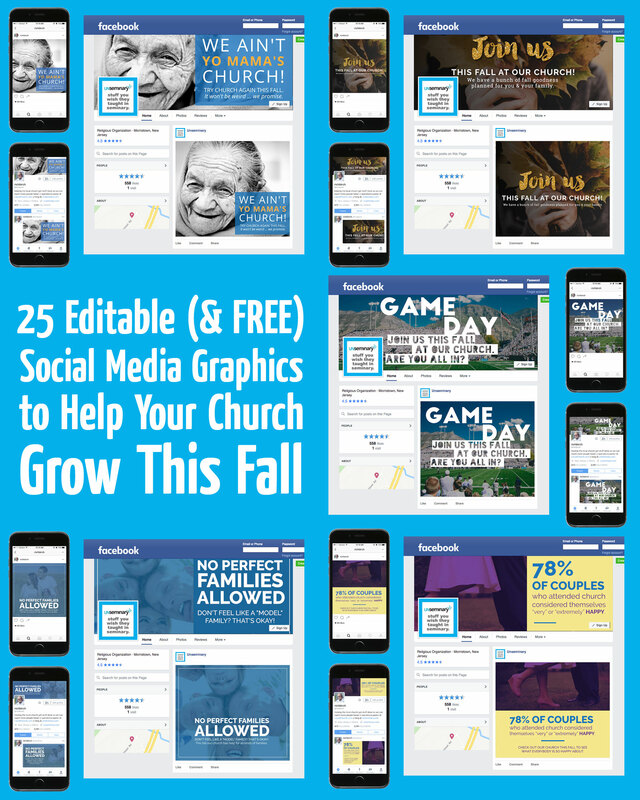 Our friends at Design Pickle pulled together these free graphics for you to use in your church. [Click here to receive the graphics in your inbox instantly.] 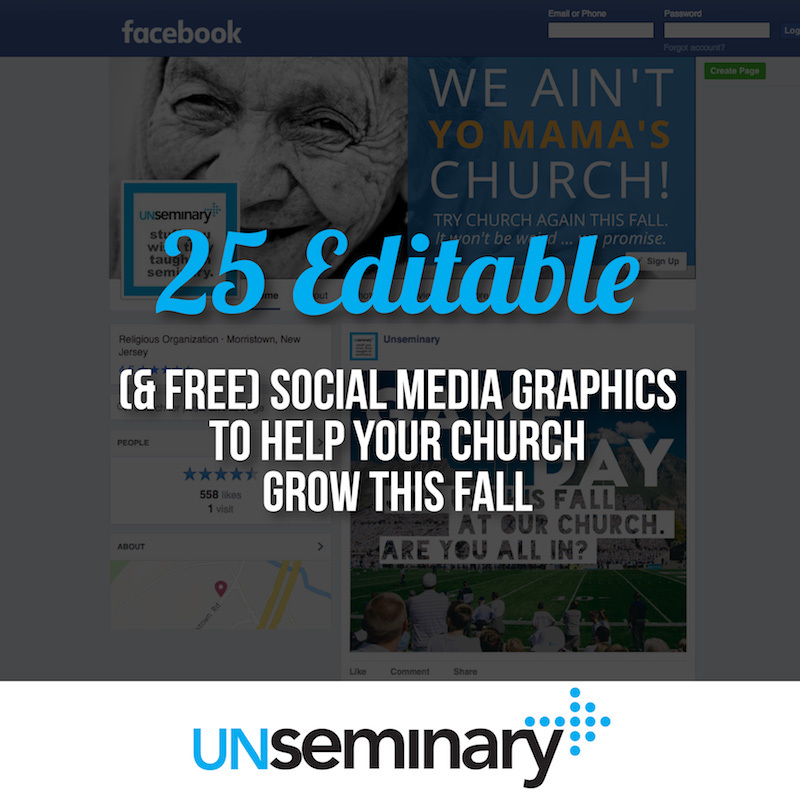 We’ve also provided the “source files” so a designer can modify the graphics to fit your church’s needs. Of course, you could also use Design Pickle’s flat rate, unlimited revision service to modify these designs.